Lexington is famous for its rolling Bluegrass hills and beautiful horse farms. But when you look a little closer at this region, you’ll see parks and trails, cliffs and arches, rivers and streams, and a whole lot of adventure. 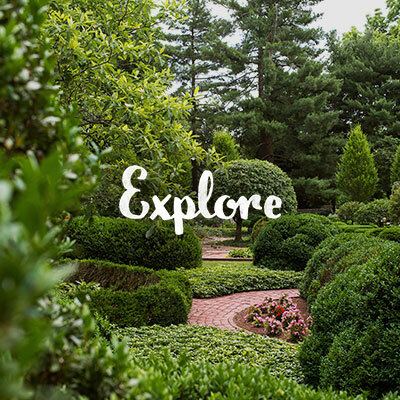 Lexingtonians have a true love affair with the great outdoors, so we’re here to show you all of our favorite places to get outside and act natural. 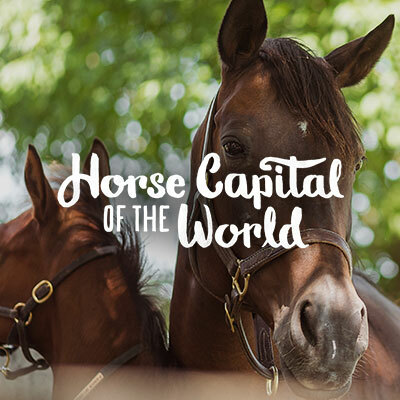 We take a lot of pride in being the Horse Capital of the World. Thoroughbreds go with Kentucky like bees go with honey, so it makes sense that one of the best parks in Lexington is the Kentucky Horse Park. 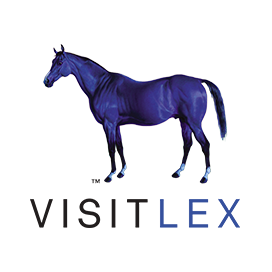 Meet Thoroughbred legends at the Hall of Champions or see interesting breeds at the Parade of Breeds Show. There is plenty to do, no matter your age or knowledge of horses. The Arboretum serves as a place to meet, walk, run and enjoy the serenity of the nature that surrounds you. The 2.5-mile loop trail is completely paved and spans across a 100-acre premier botanical garden. It’s an outdoor classroom and an urban sanctuary ready to be explored. A trip to Jacobson Park could include taking your pup to the dog park, trying your luck at fishing or playing a round of golf. Head to the Jacobson Park Marina and rent a pedal-boat for the day, or to the Lakeside Golf Course to perfect your swing. With 216 acres to roam, how you spend your time at Jacobson Park is up to you! Masterson Station is the perfect place to explore. A grass trail takes you off the pavement, alongside a stream and past equine cross country obstacles. In the warmer months, you can even take horseback riding lessons here. Masterson also features a sprawling dog park that gives your furry friend the chance to (safely) run free. If you walk through our vibrant downtown, you’ll notice we have some beautiful parks sprinkled throughout. Triangle Park is in the middle of it all, right next to the legendary Rupp Arena. 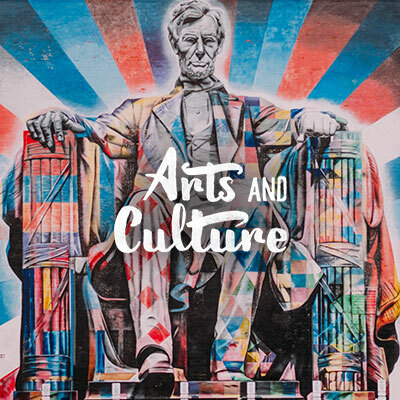 A few blocks away, you’ll find the historic Gratz Park tucked into the cityscape and surrounded by 16 historic buildings. And be sure to pay your respects to some of the greatest figures in the Thoroughbred industry at Thoroughbred Park. Just outside of Lexington you can explore Raven Run, a massive nature sanctuary and trail system. 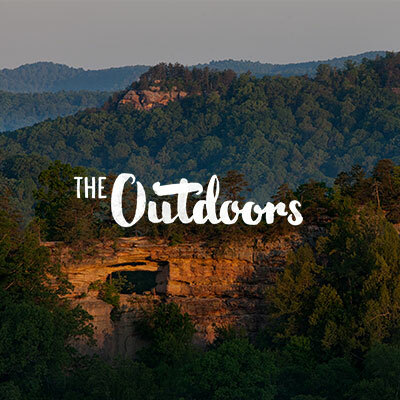 It’s the perfect spot to hike, observe the wildlife, overlook the Kentucky River and connect with nature. You’ll find ten miles of trails that wind through meadows, woodlands and streams, showcasing the beautiful features of the Bluegrass. And make sure to keep your eye out for historic remnants of early settlers that can be found throughout the park. Take your bike out for a spin at Veterans Park and blaze through unique trail system tailored specifically for mountain biking. Whether you’re a beginner or experienced biker, there’s a trail-loop for you to explore. The 12-mile Legacy Trail is best described as a trail for anyone, anywhere. The wide paved path, most popular for running and cycling, connects the downtown area with multiple neighborhoods and even the Kentucky Horse Park. If you’re looking at a Kentucky trail list and the Red River Gorge isn’t on it, you should probably find a new guide (like this one!). The hundreds of trails, hikes and climbs at The Gorge are unlike any you’ll come across anywhere else in the world. Explore the area and you’ll find steep cliffs, deep gorges, lush greenery and abundant wildlife. 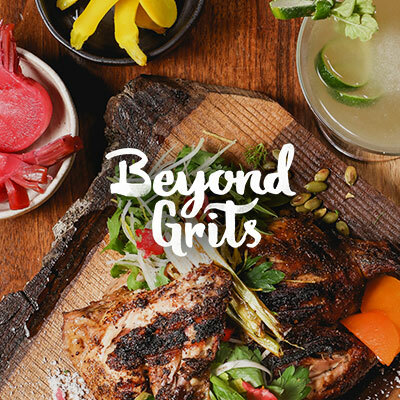 It’s truly a must-see if you’re in the region. Between Elkhorn Creek and the Kentucky River there’s a multitude of ways to have fun on the water. Rent a canoe, kayak or raft at Canoe Kentucky. You can even take a bourbon boat tour to learn about the Kentucky River’s pivotal role in the bourbon industry. If you need an adrenaline rush, Boone Creek is your go-to. Experience a world-class zipline canopy tour as you soar from one platform to the next. You’ll see old growth hardwoods, rare palisades and beautiful wildlife. Breathtaking views are a guarantee. One of the area’s most intriguing attractions. Its 3,000 acres was once home to the third largest Shaker population in the United States between 1805 and 1910. Try seasonal Kentucky dishes at The Trustees’ Table, stay a night at The Inn or simply explore the beautiful, perfectly preserved grounds for a glimpse into a simpler life. A trip to Shaker Village is one you’ll remember. 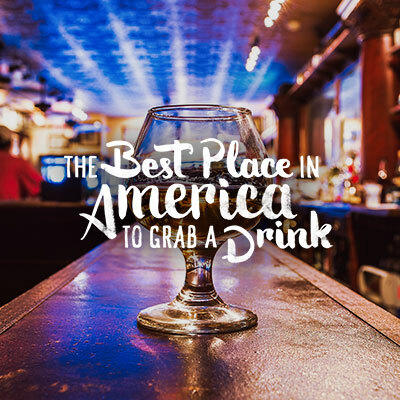 Lexington’s diverse and unique shopping scene will allow you to shop to your heart’s content. Uncorking the reds and whites of the Bluegrass. Barbara Napier’s Guide to Exploring Kentucky.